Spherification is a spectacular cooking technique developed by elBulli in 2003, which enables you to carry out magical new recipes. 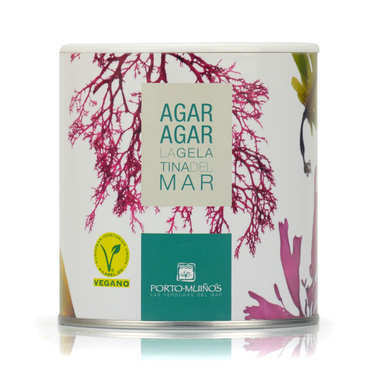 It consists of controlled gellification of a liquid to create spheres. Basic spherification consists of plunging a liquid mixed with Algin into a bath of Calcic. This technique allows you to obtain different sized spheres that can be used to make molecular "caviar", "eggs", gnocchi and ravioli. Being relatively supple, spheres made with this technique can also be handled, and can be made to contain solid elements within them. Basic spherification sometimes requires the addition of Citras to correct the acidity of certain ingredients. The process requires the use of specific tools (the Eines set). 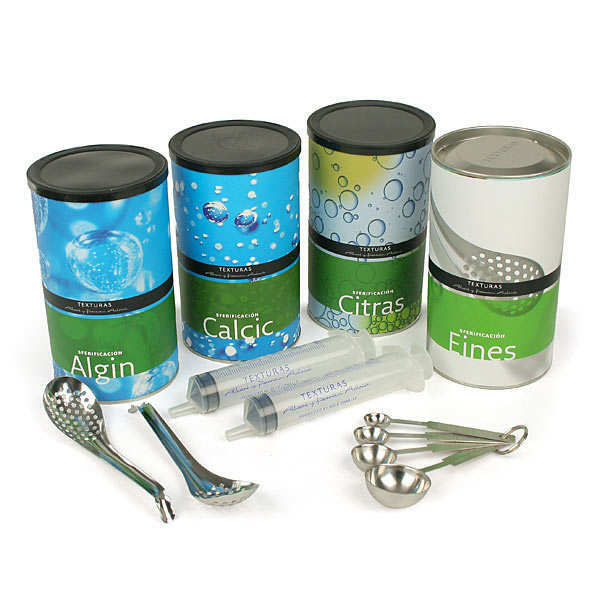 This basic spherification kit contains Algin, Calcic, Citras and Eines tools.